For more than twenty years, Dennis DuRoff has been teaching, speaking, training and coaching business owners and professionals to lead more satisfying lives and develop more productive and successful businesses. In 1997 Dennis founded Universal Business Design, an educational corporation with offices in Seattle, Washington. Dennis received his business coach training under the tutelage of Michael Gerber and is a former Certified E-Myth Consultant. 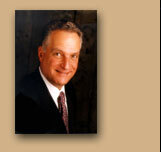 Dennis' consulting practice is national in scope, serving clients from Hawaii to New England. Mr. DuRoff coaches business owners across a wide segment of industry groups. He supports clients in thinking and acting systemically to enhance efficiencies, increase revenues, and reconnect principals to their vision and passion. Dennis is a frequent speaker at national and statewide conferences, conventions, and symposiums. He brings his message of possibility and hope to conventions, associations, industry groups, and corporations across the Country.